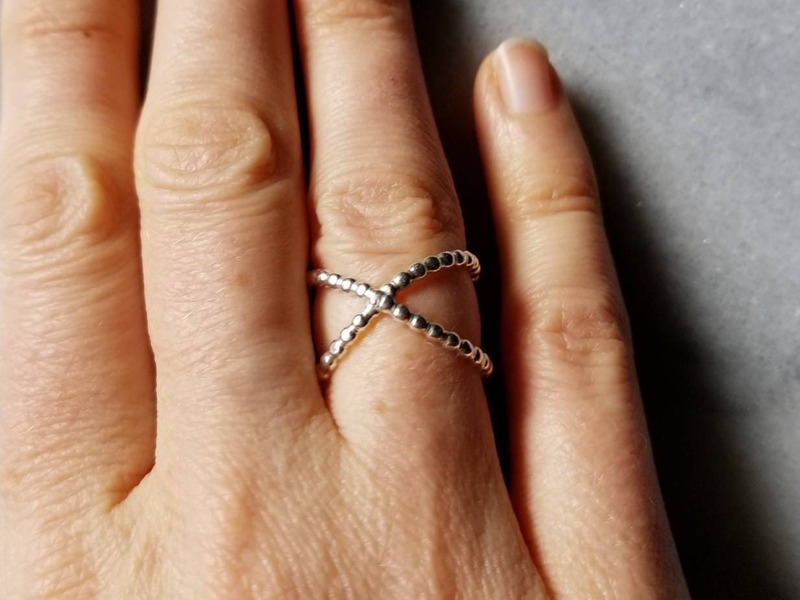 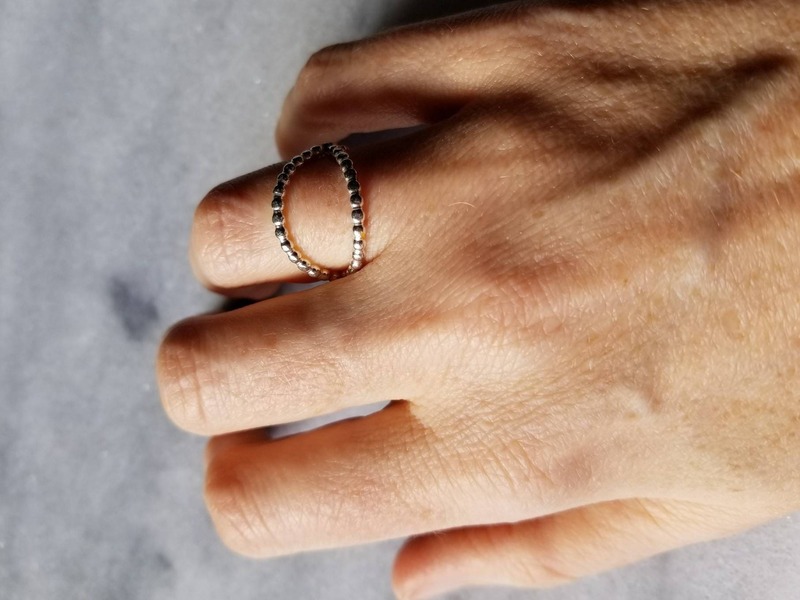 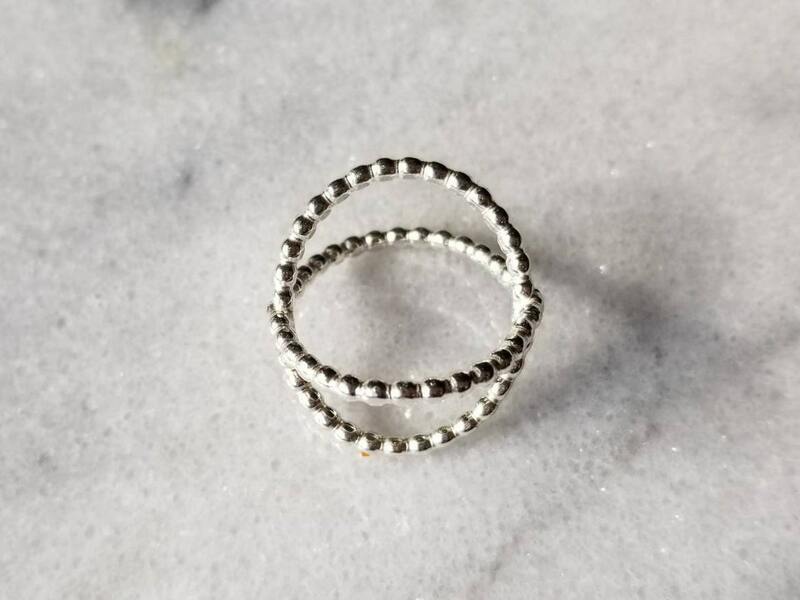 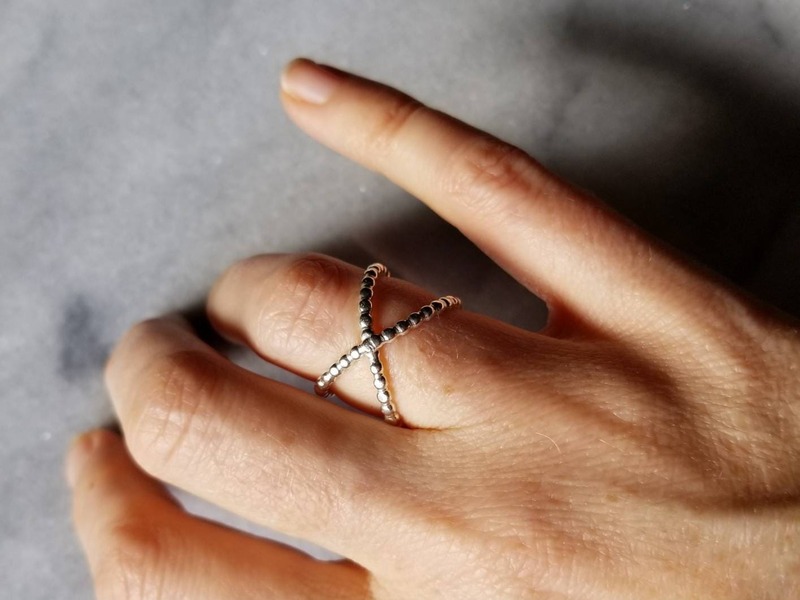 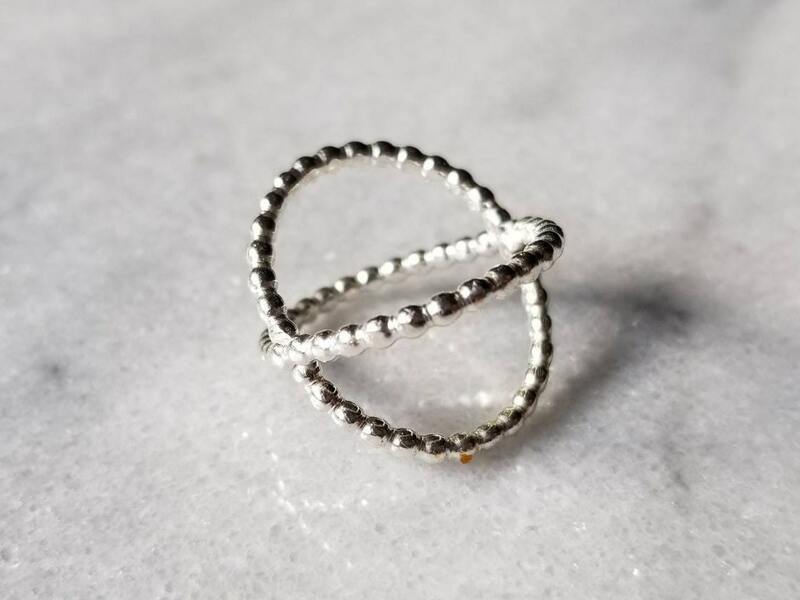 Sterling silver beaded double band ring, x-ring, criss-cross ring, size 7. 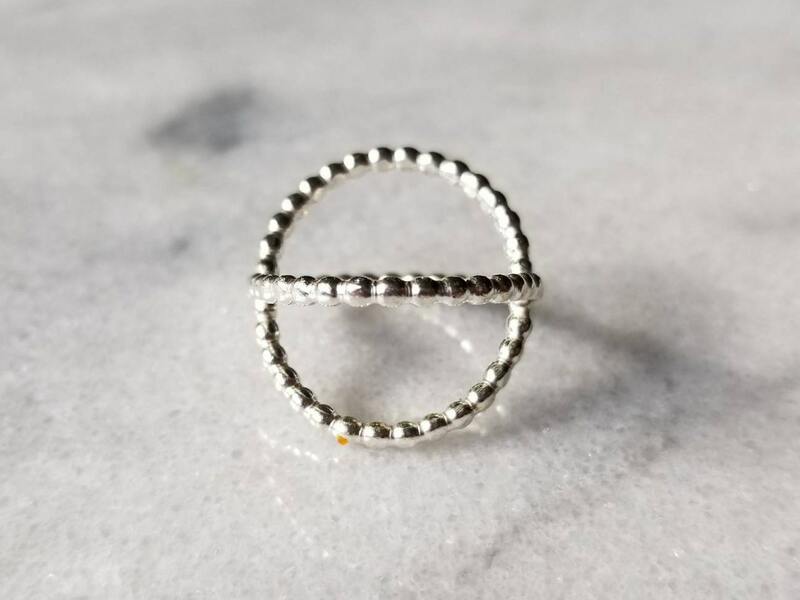 Hand forged and polished to bring out the bead detail. 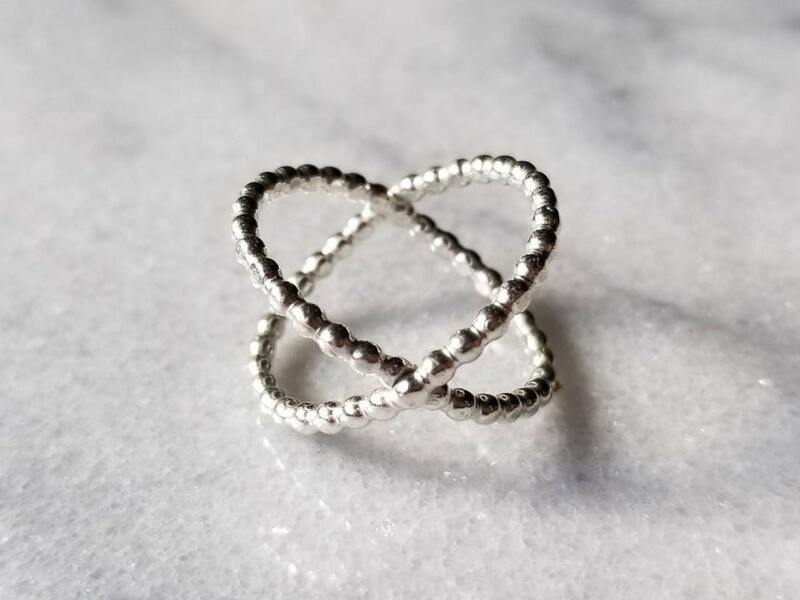 The 2 mm sterling silver double band can be worn two ways. 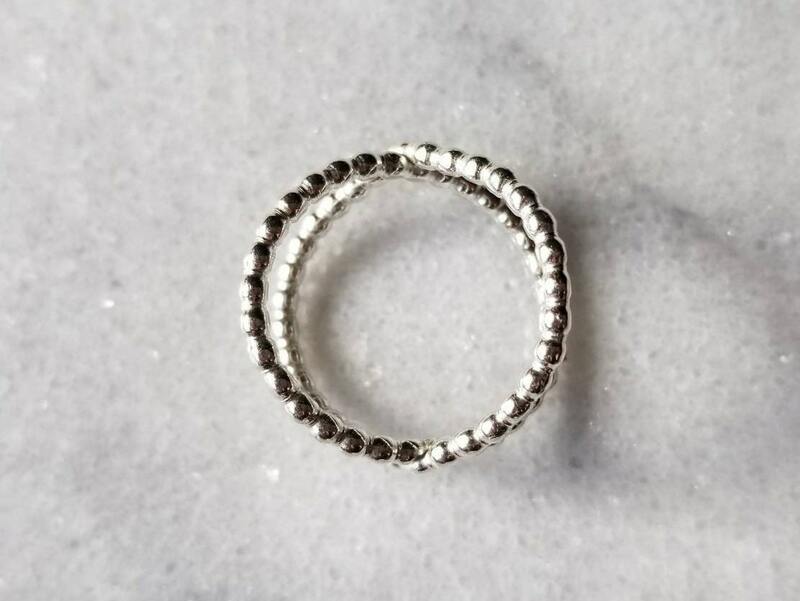 The ring is approximately 13mm tall.